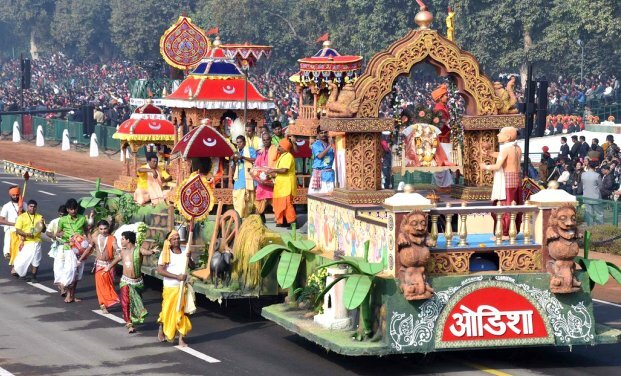 ONI Bureau: In a major disappointment for people of Odisha, the state’s tableau will not be a part of Republic Day parade in New Delhi this year on January 26. This disappointment comes after the Ministry of Defence rejected all five designs presented by the Information and Public Relation (I&PR) Department, Government of Odisha. As per report, to commemorate the 150th birth anniversary of Mahatma Gandhi this year, the Union Govt had asked all States to prepare tableau with a theme on ‘Gandhi Connect’. This is for the 2nd consecutive year that Tableau of Odisha failed to get the nod at Republic Day Parade.